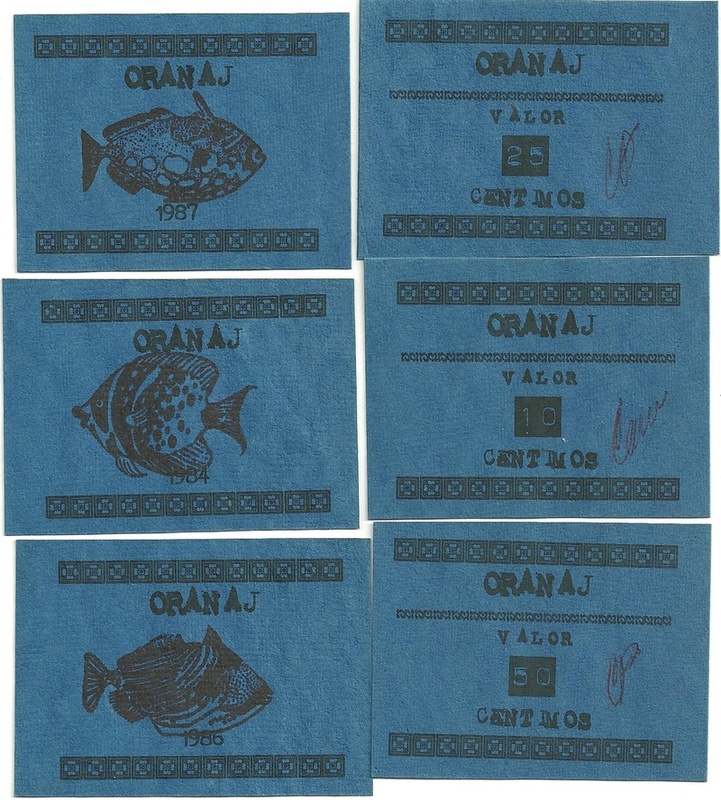 These stiff blue paper note are quite strong and durable, featuring three different fish in 10, 25 and 50 Centimos. These are small 'notgeld' size notes. Around 150 of each were made on this handmade paper. These are still available.